how much damage is synthetic fertiliser doing to soil? In a recent conversation, in which I was accused of being too black-and-white about the positives of conventional agriculture and GMOs, the damaging effects of synthetic fertiliser were mentioned as a negative, as it ‘kills the soil’s organisms, including earthworms’. So now I’m going to focus on that issue specifically, and follow the evidence where it leads me. There’s no doubt that intensive agriculture and mono-cropping are having a negative impact on soil quality, just as there’s no doubt that intensive agriculture is currently required to feed the world’s human population. So what’s to be done? First, we could reduce or stabilise the world’s population, which we’re trying to do. Second, we can try to find biotech solutions, developing a type of intensive agriculture that’s less damaging to the soil and the environment – and organic approaches might help us in this. GMOs also offer promise, developing crops which require less in the way of fertilisers and pesticides, and deliver higher yields. There are other ways of looking at this and so many other problems, as I’ve recently become aware of complexity theory, which I’ll write about soon, but for now I’ll look at the claims being made and the solutions being offered. So what exactly is synthetic or chemical fertiliser doing to our soil? Needless to say, in order to obtain accurate data in answer to this question we have to negotiate our way through sources dedicated to maximising, or minimising, the harm being done. So I’ll start with a definition. Here’s one from a website called Diffen, dedicated apparently to making unbiased comparisons between rival goods and services, in this case chemical v organic fertilisers. A chemical fertiliser is defined as any inorganic material of wholly or partially synthetic origin that is added to the soil to sustain plant growth. Chemical fertilisers are produced synthetically from inorganic materials. Since they are prepared from inorganic materials artificially, they may have some harmful acids, which stunt the growth of microorganisms found in the soil helpful for plant growth naturally. They’re rich in the three essential nutrients needed for plant growth. Some examples of chemical fertilisers are ammonium sulphate, ammonium phosphate, ammonium nitrate, urea, ammonium chloride and the like. wholesale pollution of most of our streams, rivers, ponds, lakes and even coastal areas, as these synthetic chemicals run-off into the nearby waterways. What this article doesn’t mention is that human waste (i.e feces), grey water etc is also getting into our waterways and causing damage, and it’s hard to separate out these many forms of pollution. In any case, I’m confining this piece to direct damage to the soil rather than to waterways, important though that obviously is. One of the principal causes of soil degradation is leaching, the loss of water-soluble plant nutrients through rains and storms, and irrigation. Fertiliser can contribute to this problem. When nitrate (NO3) is added to the soil to boost plant growth, excess NO3 ions aren’t able to be absorbed by the soil and are eventually leached out into groundwater and waterways. The degree of leaching depends on soil type, the nitrate content of the soil, and the degree of absorption of the nitrates by the plants or crops on that soil. Again, though, the leaching is caused by water, and the soil degradation is largely a natural process, though over-irrigation can contribute. This is why the older soils, such as those in Australia, are the most lacking in nutrients. They’ve been subjected to eons of wind and water weathering. The richest areas have been renewed by volcanic activity. Not all chemical fertiliser is the same, or of the same quality. 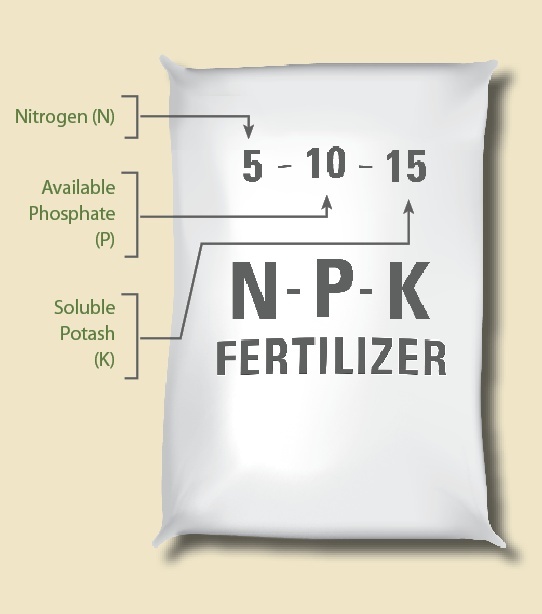 Phosphate fertilisers commonly contain impurities such as fluorides and the heavy metals cadmium and uranium. Removing these completely is costly, so fertiliser can come in grades of purity (most backyard-gardener fertiliser, the stuff that comes in little pellets, is very pure). Many widely used phosphate fertilisers contain fluoride, and this has prompted research into the effects of a higher concentration of fluoride in soil. The effect on plants has been found to be minimal, as plants take up very little fluoride. Livestock ingesting contaminated soils as they munch on plants could be a bigger problem, as could be fluoride’s effect on soil microorganisms. Fluoride is very immobile in soil, so groundwater is unlikely to be contaminated. Acidification from the regular use and over-use of acidulated phosphate fertilisers has been a problem in some areas, particularly in Malaysia and Indonesia, where aluminium toxicity has caused severe soil degradation. Acidity of soils is a serious problem in Australia, where in NSW more than half the agricultural land is affected. Most agricultural plants require a pH of 5.5 to 8.0 to grow best, though some plants are much more tolerant than others of lower pH levels. Surface acidity can be corrected with the application of ground limestone, but subsurface acidity is a growing problem and much more difficult to correct. Acidification is generally a slow natural process caused by wind and water weathering, but it can be greatly accelerated by the use of fertilisers containing ammonium or urea. It can also be caused by a build-up of organic matter. As an example of the complexity of all this, superphosphate doesn’t directly affect soil acidity but it promotes the growth of clover and other legumes, a build-up of organic matter which increases soil acidity. A comment on fertiliser and worms. No, they don’t kill worms, and because they stimulate plant growth they’re likely to increase the population of worms – but there are worms and worms. Some are highly invasive and have been transported from elsewhere. Some can be damaging to plants. At the same time new plants, and new worms, tend to adapt to each other over time. Again, complexity cannot be underestimated. Another concern about chemical fertiliser, again not connected to soil quality as such, is nitrous oxide emissions. About 75% of nitrous oxide emissions from human activity in the USA came from chemical fertiliser use in agriculture in 2012, and we are steadily adding to the nitrous oxide levels in the atmosphere. Nitrous oxide is a greenhouse gas which, on a unit comparison, is 300 times more damaging than carbon dioxide. In conclusion, it’s likely that everything you do in agriculture has a downside. There are no free lunches. The key is to obtain as much knowledge as possible, not only about your patch, but about nutrient and resource cycles generally. It’s all connected. Oh and above all be sceptical of some of the ridiculous claims, and the ridiculous propaganda, out there. Check them out on a reputable, evidence-based site.